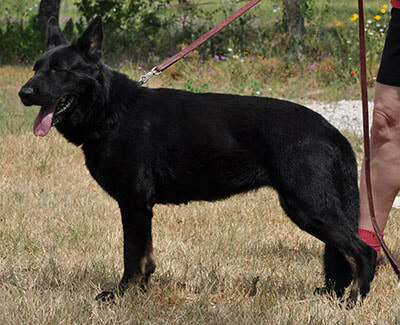 ​Capri is a medium dark sable female with very good working structure. Capri also takes after her mother Wally having a more masculine head. 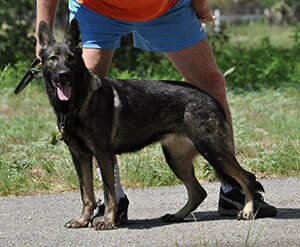 She is aloof to strangers like her father Dax but adores her family and kids. 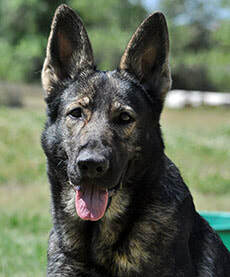 Loves to play ball and climb over rubble, while possessing a very high intelligence, catching on very fast with obedience. 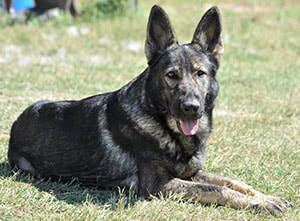 Capri comes from an all East/DDR pedigree with no Sven/Tino or Sando, she is line bred 3-3 on a very hard dog SG Condor vom Haus Christian SchH2. She is also a Hesie grand daughter, Hesie was a very unique female possessing more older style temperament.